A Tree In The Meadow unseats “Twelfth Street Rag” for two weeks at the top of Billboard‘s Pop Charts and was #1 on Your Hit Parade even longer, ten weeks in all starting in late August. 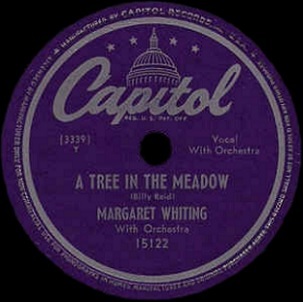 The record by Margaret Whiting is her first of two chart toppers in a career that spanned more than a quarter century, scoring her first Top Ten hit in 1942 and her last big seller (in the Adult Contemporary field) in 1970. 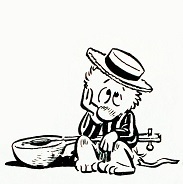 The comic strip Pogo makes its debut in The New York Star and seven months later was syndicated to newspapers nationwide, eventually being seen in over five hundred papers around the world. 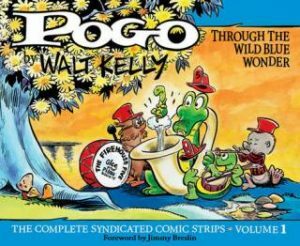 Walt Kelly‘s strip featuring the characters of Pogo and Albert, a possum and an alligator who live in Okefenokee Swamp, had first appeared in Animal Comics back in 1941 and were the first characters to successfully transition from comic books to a daily strip. With an entirely animal cast of over 40 regular characters Kelly frequently used them to lampoon politics of the day and get across points that would’ve been otherwise risky if voiced by humans. Yet thanks to his deft touch Pogo became one of the most beloved comics of all time. After Kelly’s death in 1973 his widow and son continued it until 1975 when the strip was retired. The city of West Memphis, Arkansas opens a new $300,000 school… for white children only, the second all-white modern school in the city, this one housing just 288 students. Each of the white schools have full gymnasiums, cafeterias serving hot food, school bus service and an average of one teacher for every 14 students. 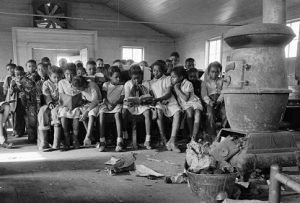 Ten months earlier the small ten room wooden school that housed 1,000 black children burned to the ground. The city chose not to replace it. Instead 370 of the children were crammed into one room in a Baptist Church. There’s one teacher for every 71 students. Children must bring their own lunch, there’s one stove for heat, no indoor plumbing and they walk miles to school through perpetually muddy unpaved roads. The city spent $144.51 on each white student’s education in 1948, but just $19.51 for each black student. This was “separate but equal” in action in the south. Despite having a professional record at the time of 85-6-2, including an amazing 56 knockouts (36 of them in three rounds or less), featherweight boxing contender Sandy Saddler had been denied a chance for fight for the title until October 29, 1947, when he faced one of the most prolific champions of all-time, Willie Pep, in New York City. 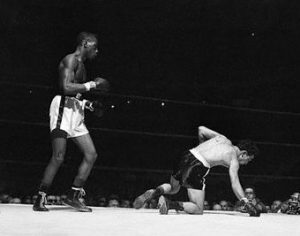 Pep, who boasted an unprecedented record of 134-1-1, was the favorite but Saddler dominated the fight, knocking Pep down three times, winning the title by knockout in the 4th round en route to a Hall Of Fame career of his own. The two would fight three more times, with Saddler winning two of the three violent bloody rematches in one of the most epic rivalries in boxing history. His nephew, Joseph Saddler, would make The Rock ‘n’ Roll Hall Of Fame, as Grandmaster Flash, leader of the first rap group inducted, The Furious Five. 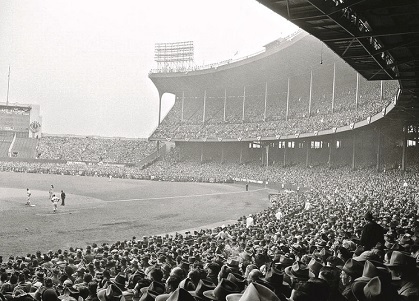 Game Five of the World Series between the Boston Braves and Cleveland Indians sets a record for attendance as 86,288 people watch the Braves clobber the hometown Indians 11-5 at Cleveland Municipal Stadium on a Sunday afternoon. Six future Hall Of Famers played in the game: Bob Feller, Satchel Paige, Larry Doby, Lou Boudreau, Joe Gordon and the only one on the winning team that day, Warren Spahn. However the Indians rebounded, winning Game Six the following day in Boston to claim the World Series title… they haven’t won another since. At the Royal Roost club in New York City, the Miles Davis led nonet makes its public debut during a two week stint. The group, featuring Gerry Mulligan on baritone sax, pianist John Lewis and drummer Max Roache among the nine member aggregation, would effectively invent cool jazz at this time, a more laid back impressionistic alternative to the bop movement which was dominant in jazz then. Soon after the group recorded a series of sessions which would eventually be collected on Davis’s acclaimed 1957 album Birth Of The Cool, by which time Davis had left the style far behind. The influence of that work heard first in the fall of 1948 however lasted for decades. The Warner Brother’s cartoon short The Foghorn Leghorn debuts in theaters, the third of the Foghorn Leghorn features directed by Robert McKimson is the first to fully present him in his familiar state and pit him against the Henery Hawk, the aggressive pre-pubescent chicken hawk who’s told by his father that chickens are “great big monsters with big sharp teeth that live in caves” in an attempt to keep the kid out of his way. After being berated and chased off by the overbearing rooster the father tells his inquisitive son in order to save face that Foghorn isn’t a chicken at all, but rather a “loudmouthed shnook”. Henery promptly sets his sites on the Barnyard Dog, with big sharp teeth who lives in a cave (doghouse), thinking him a chicken by his father’s description. Foghorn tries to set him straight but Henery is having none of it, so he tries to convince him he’s a chicken… rooster that is. 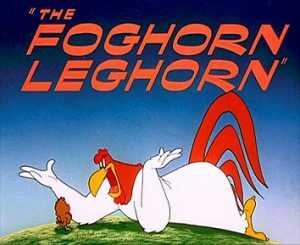 Foghorn’s personality and dialect is modeled after Senator Claghorn, the fictitious blowhard Southern politician played by Kenny Delmar who resides in Allen’s Alley, the regular feature of Fred Allen’s radio show, the most popular program on the air at this time, with Looney Tunes voice actor Mel Blanc adapting many of the Senator’s sayings and pompous style for Foghorn almost verbatim. Henery is finally convinced of the officious meddlesome rooster’s identity, conking him over the him with a shovel and dragging him off by the claws for dinner. No doubt thanks to the prodigious efforts of Foghorn Leghorn around the barnyard, chickens are keeping busy with their sacred duty in providing human beings with breakfast. 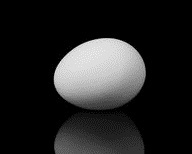 To that end if you’re hungry for an omelet a dozen eggs will cost you 63 cents.